1. 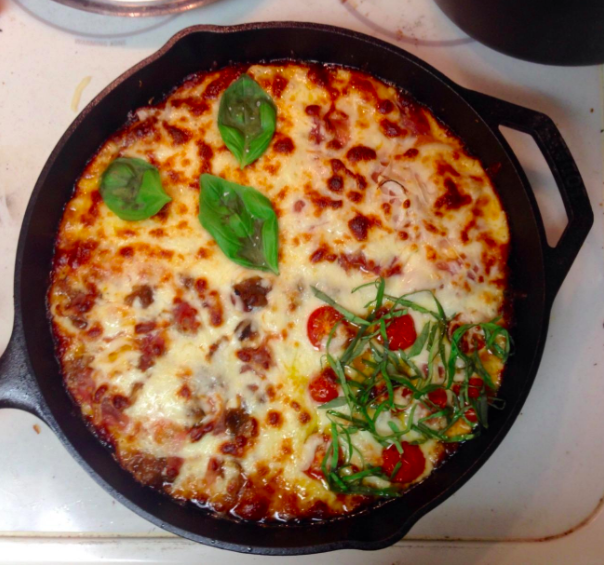 A 7.5 quart Dutch oven made of enameled cast iron (read: durable, even cooking temperatures, and dish-washer safe!) that just may makeover your dinner routine for good. This babe is affordable, big enough for family-style meals, and it's a one-pot meal maker's dream! I just cooked in a Le Creuset Dutch oven (read: v expensive but are literally indestructible cooking heirlooms you can pass on to your family members) for the first time last night anddd I never want to cook in anything else, thanks! Get it from Amazon for $50.92 (available in four colors). 2. A practical kitchen timer so you can ~simmer down~ and watch some Netflix and not worry (or forget) about whether or not it's time to take the food out of the oven yet. My entire oven shuts off when the oven timer goes off and then I have to pre-heat it again if the food isn't done yet 🙃. Soo I am adding this to my own cart rn! 3. 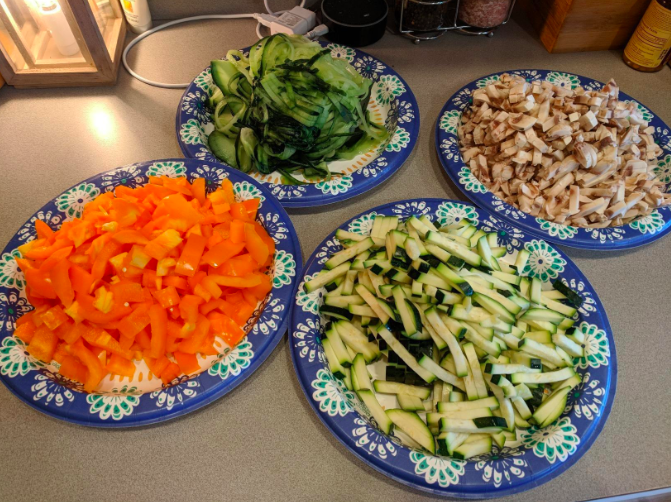 A set of gorgeous and sturdy bamboo cooking utensils with color-coded handles so your kids can easily help stir the pot when you need a sous chef. 4. A seven-quart, dishwasher-safe slow-cooker for anyone who wants to dump a bunch of stuff into a slow-cooker and impress their friends and family with an effortless, delish meal come dinner time. 5. A vacuum sealer so you can save and store leftovers from big meals in the freezer (for up to a year!) with no freezer burn, or keep buying bulk packs of cheap meat and freeze what you don't need for later! 6. A set of pastel knives as sharp as they are pretty, because sometimes a fun knife set is all your need to feel inspired and chef it up 👩🏾‍🍳. 7. A ceramic rolling pin that'll stay cool so you never have to deal with sticky pie crust or pizza dough again! Get it from Walmart for $15.52. 8. 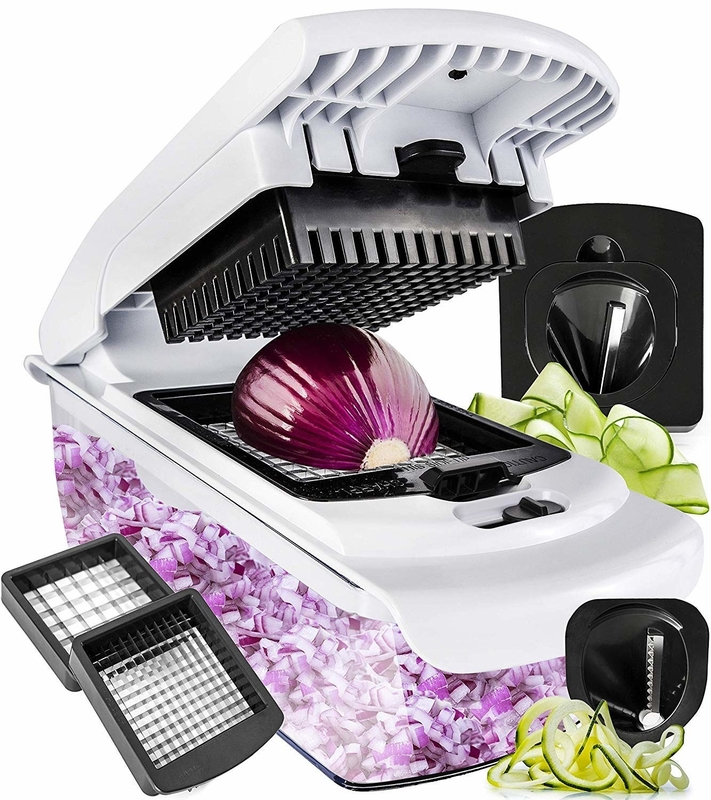 And a heavy-duty vegetable chopper and spiralizer for anyone who wants to skip the knife-set altogether, and have oodles of zoodles and food prep done in no time. This is a dream product for anyone who loves cooking but hates food prep (me)! 9. A double breakfast sandwich maker that quite simply covers the most important meal of the day in just a few minutes, because who has time to feed a family of five in the morning with everything else going on?!? Get it from Target for $39.99 or from Amazon for $36. 10. A boil over safeguard so you can keep your eyes on the meatballs in the oven without worrying about the pasta boiling over on the stove-top! 11. A 11-piece non-stick cookware set perfect for beginner cooks who have lots of people to feed, but aren't 100% confident in what they are doing and don't want to worry about food sticking to the pan. Get an eleven-piece set from the Tasty collection exclusively at Walmart for $79 (available in four colors). 12. An easy-peasy salad spinner that just might have you whipping up a delish salad for your next dinner party, because washing and drying veggies has never been faster 🥗. Get it from Amazon for $29.94. 13. 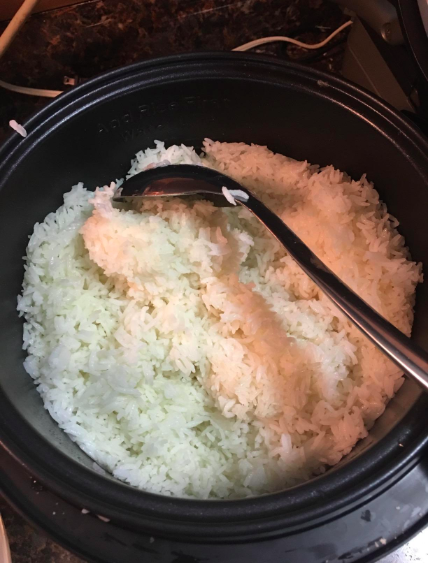 An extra large rice cooker (cooks up to 20 cups) to keep rice going strong as the staple that binds your hungry fam together. This set includes non-stick inner pot, rice measuring cup, and a plastic rice spatula. Get it from Amazon for $39.90. 14. A handy kitchen scrap trap for anyone who is tired of scooping up bits and pieces of scraps off the counter/cutting board during food prep. This babe comes with a scraper and will save you time and space while you cook! 15. 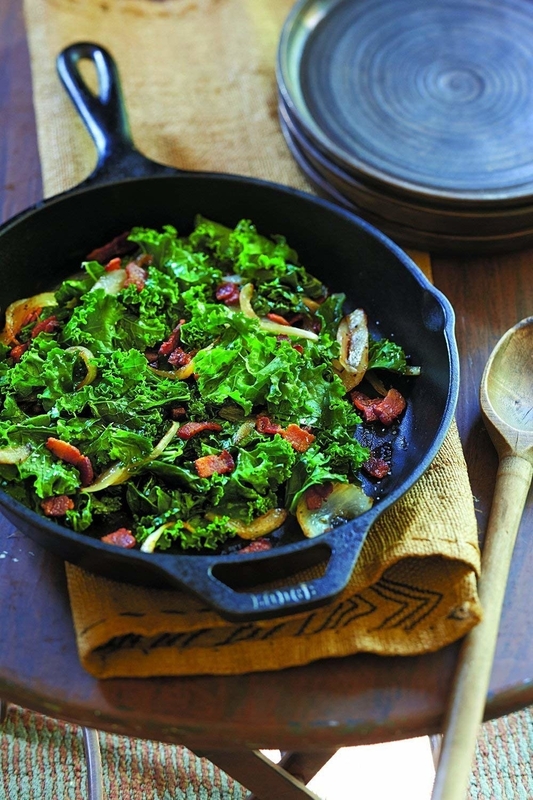 A pre-seasoned 12-inch cast iron skillet that'll last for years to come and impress all your guests when you serve them a rustic pizza right from the pan. Cookware that is stovetop and oven safe is the best. 16. A list of $10 dinner recipes so you can choose your faves and whip up something delish without going over your budget. 17. 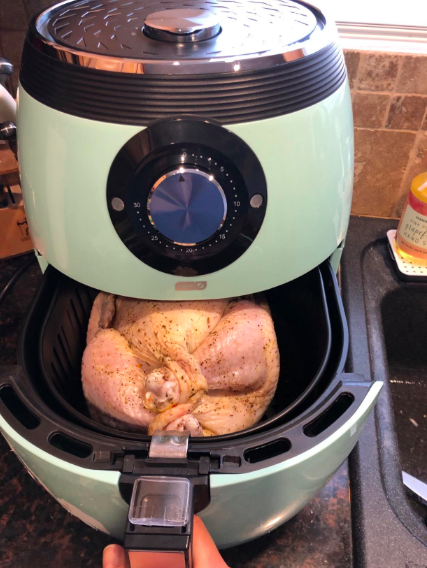 A six-quart air fryer to roast an entire chicken in — think rotisserie style but even better than what you'd pick up at the grocery store, because it will be super fresh, moist, and not dried out! Air fryers are also great for heating up leftovers, or making big batches of crispy fries without the oil. 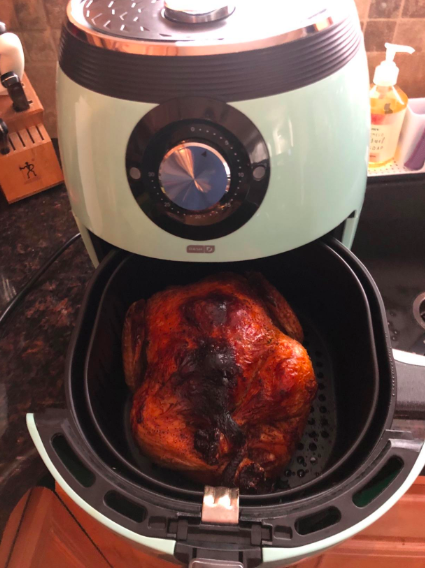 I just cooked an entire chicken in this exact model of air fryer last week, and it was seriously the best chicken I have ever made in my life. I don't usually like white meat, but it was so juicy I ate it all up! Get it from Amazon for $99.99 (available in four colors). 18. 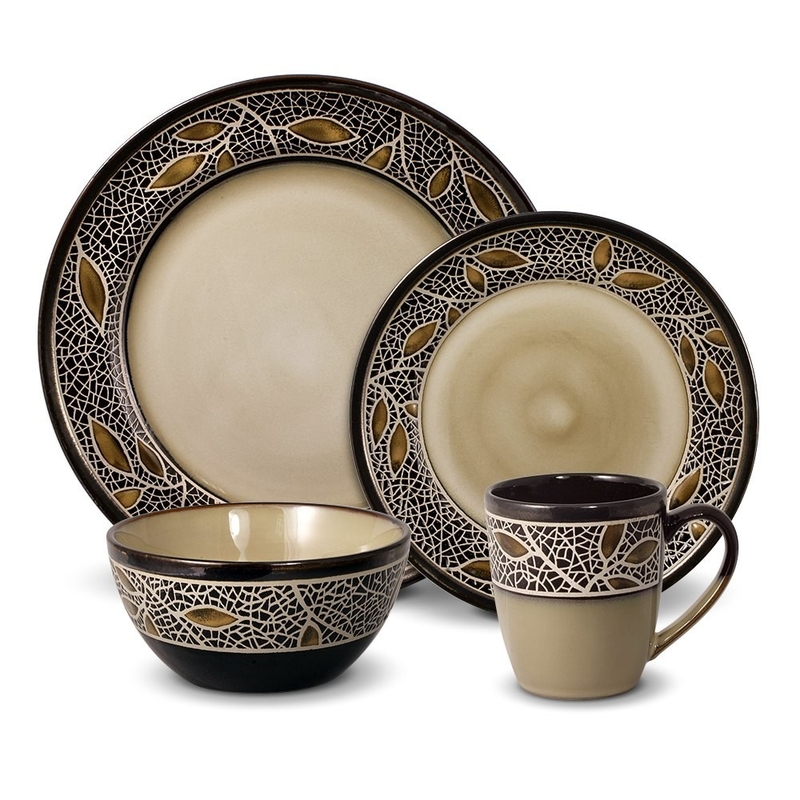 A 32-piece dinnerware set durable enough for everyday use and pretty enough to use during holiday meals. Plus it's dishwasher- and microwave-safe! Get a 32-piece set from Amazon for $149.99. 19. A pair of stainless steel meat claws to take the stress out of your next pulled pork recipe. They are also good for lifting meat off the grill. Get them from Amazon for $22.98. 20. 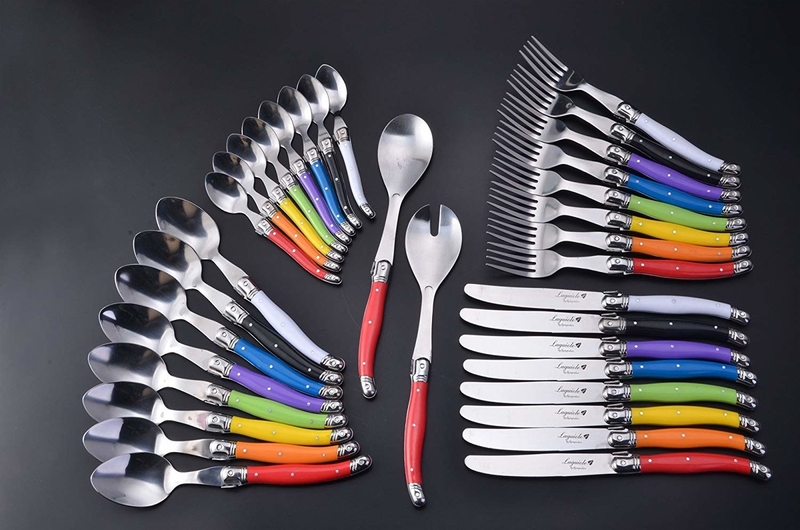 A 24-piece flatware set available in multicolor so you can finally keep track of whose dishes are whose by assigning each family member a color. Bye dishes debate! 21. An investment-worthy Instant Pot capable of browning, steaming, pressure cooking, rice cooking, yogurt making, and more (at speeds way faster than the oven). Say hi to super easy Instant Pot meals and bye to all the appliances taking up way too much space in the cabinets! Check out Tasty's easy Instant Pot recipes. Get it from Amazon for $79.95+ (three sizes). 22. And a set of stackable steamer insert pans so you can steam rice above your main course and cook two things at the same time like some kind of magical kitchen wizard. 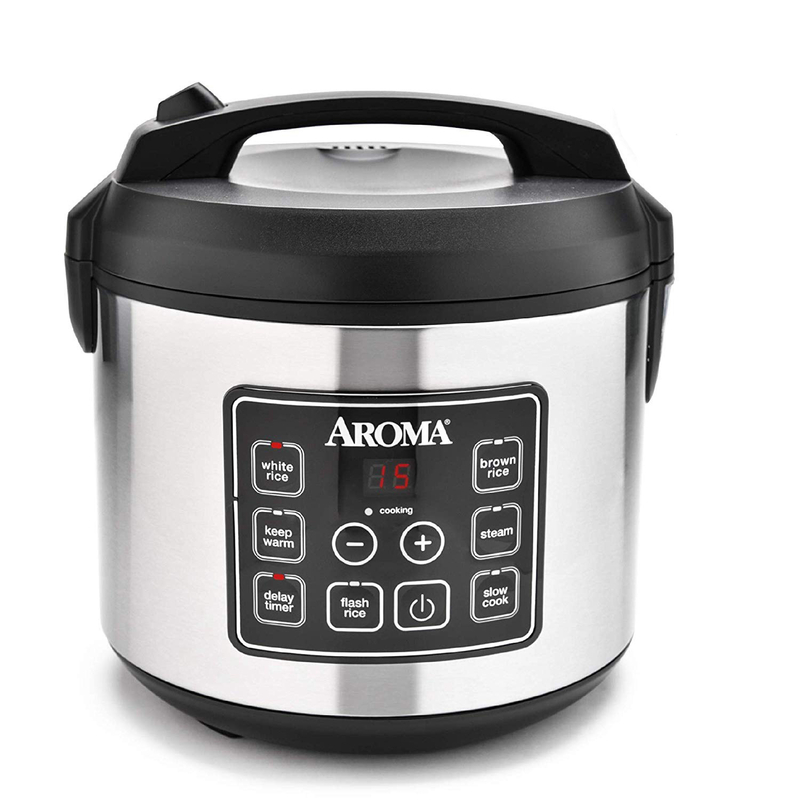 Get it from Amazon for $29.99+ (four sizes, compatible with 3, 6, and 8-quart Instant Pots). 23. A large stovetop-safe pitcher that'll definitely satisfy your friends need for the tea when they come over to hang out. 24. And a 16-piece glass tumbler set for anyone who is tired of glasses collecting water in the dishwasher — these babes don't. You're welcome! Get them from Amazon for $39.81 (available in two colors). 25. A casserole dish set that comes with lids so you can feed the heck out of everyone with ease. This bakeware can go from oven to table to fridge all in one dish — the dream! 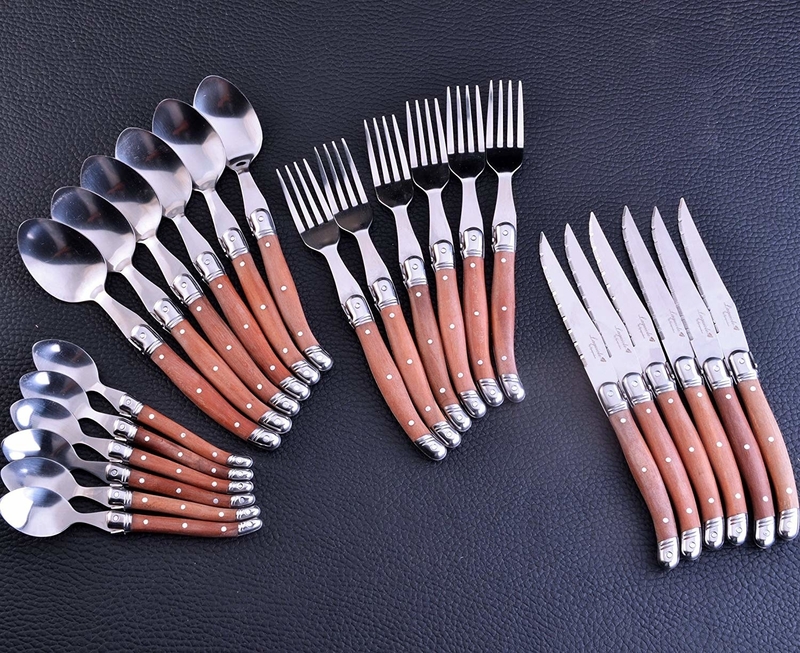 Get an eight-piece set from Amazon for $21.29. 26. 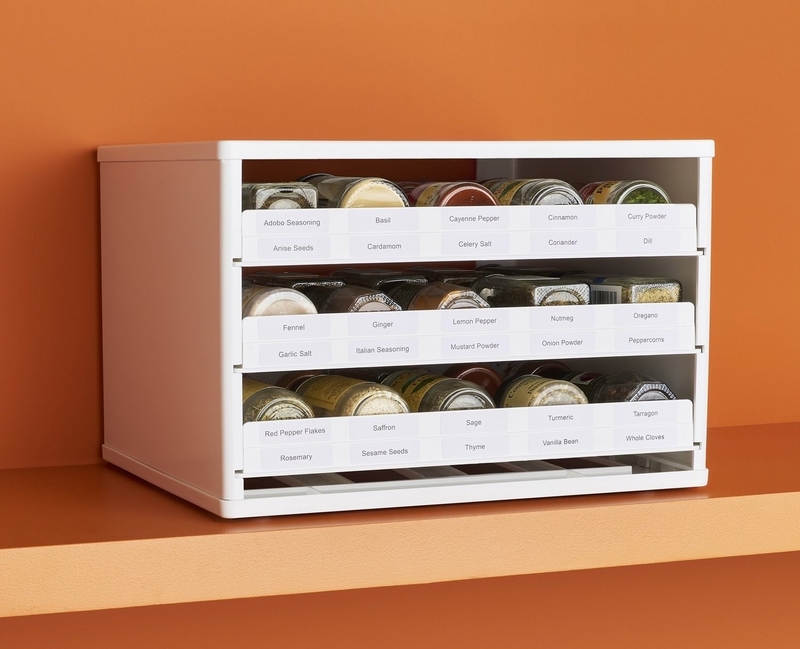 A universal 30 bottle spice organizer (labels included) so you can save time digging through the spice cabinet and get back to cooking. 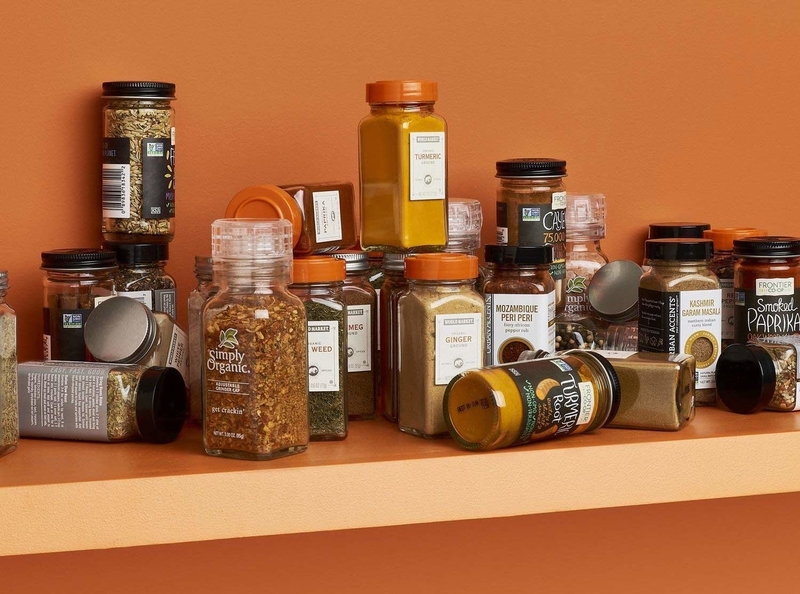 Every good chef knows spice is the key to life! 27. A 45-piece banquet dinnerware set that'll help you become the dinner-party host of your dreams. 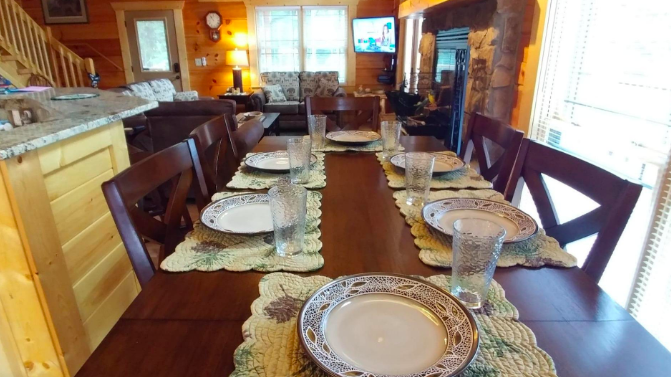 It's got everything you need to serve up the meal of the century, and everything is dishwasher-, microwave-, and oven-safe! Promising review: "I love my set! it is very off white almost cream so if you are looking for a stark white set, this is not the item for you. Everything came well packaged and shipped. I have put the casserole serving dish in the oven and it did fine. I love that these are dishwasher, microwave and even oven safe!" —Brittany D.
Get it from Amazon for $83.33. 28. 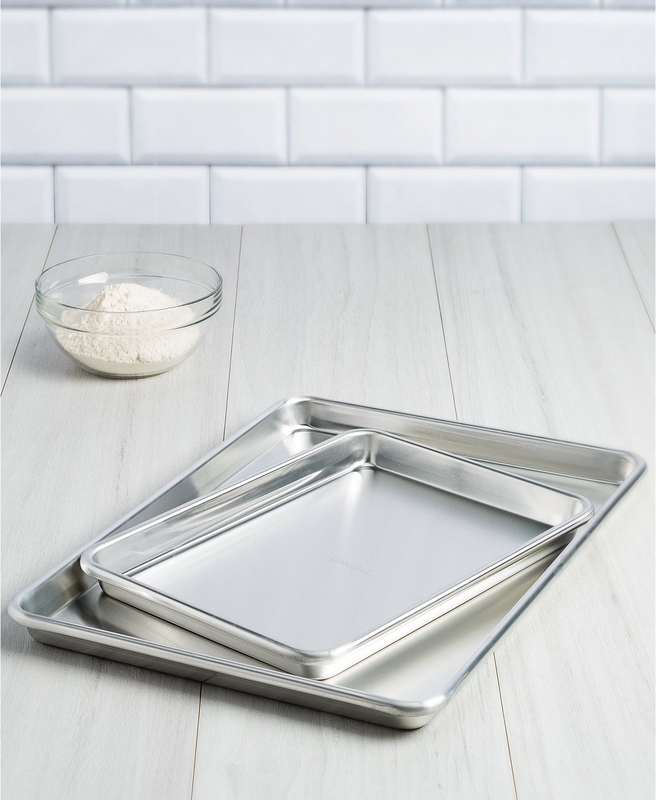 And a set of sheet pans to use the next time you need to feed the fam with a drool-worthy sheet pan dinner. Yum! Check out these easy sheet pan dinners and get a set of two baking sheets from BuzzFeed's Goodful line, exclusively at Macy's for $13.99. Check out The Best Pots And Pans At Every Price Point.